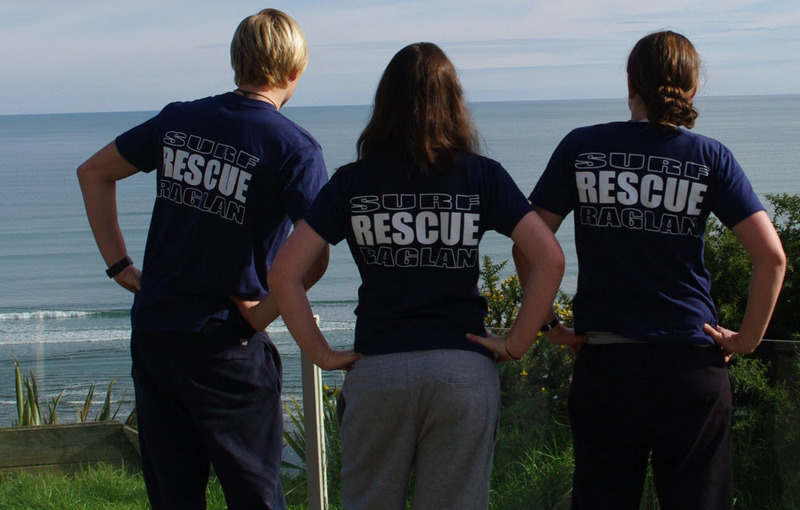 Trust Waikato Raglan Surf Life Saving Club started in 1972 when a group of enthusiastic members decided to patrol the Kopua beach. In July 1973 the Raglan Surf Life Saving Patrol was formed, with Ces Gaukrodger as the first president. By February 1974 they has 17 qualified members and 2 instructors. In those days lifeguards patrolled from a tent each morning on the beach. The equipment was stored in a shed at the wharf and had to be transported to the beach. This made an onerous task more difficult, especially considering the Wainui reserve was farmland at that time and equipment had to be transported down Bryant Home track or 3 km along the beach. In 1979, before the development of the Wainui Reserve the club put up premises on reserve land adjacent to the harbor entrance. While not the most appropriate location from which to patrol the beach, many a boatie can be thankful for said location of the club, as lifeguards were able to respond quickly to incidents on the bar during this time. With the development of the Wainui Reserve, it was recognised that in time the surf life saving club would need to relocate and during the planning stage consent was granted for a building to be constructed on the reserve. In 2001, with erosion occurring on the beach to the extent that at high tide it was not possible to get down the beach due to rock being uncovered, a decision was made to begin the relocation of the club and design work and fundraising began. Subsequently the official opening of the new club was held in October 2002 and the Mayor of Waikato District Council, Mr Peter Harris, officially declared the current clubrooms open.